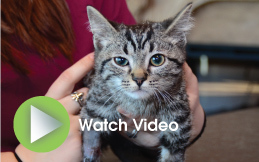 Jefferson Animal Hospital pain protocols are based on compassion and caring. Our veterinarians and staff are dedicated to making sure your pet‘s treatments are the most humane and pain free as possible. We are constantly seeking techniques and procedures that promise less pain and faster recoveries. Pain is often difficult to assess in animals. They are very good at hiding pain and illness as a survival mechanism. Can you tell if your pet is in pain? What can you do? There are many wonderful medications to treat pets in pain but use extreme caution with “over the counter” medications like aspirin or Tylenol. Did you know Tylenol can be fatal to cats? And aspirin can cause bowel bleeding and stomach ulcers in dogs and is potentially toxic to kidneys. Ibuprofen is especially dangerous to use and also kidney toxic. Always ask a veterinary professional for advice about pain medications. 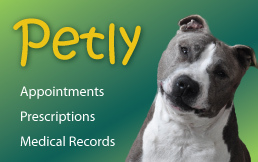 Prescription medications are safer for your pet. Our veterinarian will probably take a blood sample to check for healthy liver and kidney function before starting your pet on any long term pain medications.